Dr Cynthia Pauley and Dr Brian Cave, a husband and wife dentistry team at Brookside Dental, Bellevue, Washington, have been selected Seattle Met Magazine Top Dentists for 2014 by a vote of dentists in the Seattle, WA, metropolitan region. Inclusion in the Top Dentists list for 2014 by Seattle Met Magazine is the fourth year in a row that they have been honored for their outstanding dentistry work. The Top Dentists listed are from four Washington State Counties: King, Snohomish, Pierce and Kitsap which surround the greater Seattle Area. Their professional listings are available in the Top Dentists section of the magazine website at http://www.seattlemet.com/health-and-fitness/articles/top-dentists-2014 with additional dentistry information available on the magazine website. The additional information includes a variety of things such as the slide show from the party honoring the Top Dentists http://www.seattlemet.com/slideshows/top-dentists-party-february-2014 at Barrier Audi in Bellevue, WA. Inclusion in the Seattle Met Top Dentists List is based on an extensive survey of dental professionals in both the general dentistry and specialty dentistry fields. To create the Top Dentists 2014 list, Seattle Met Magazine sent ballots to all dentists listed online with the American Dental Association as well as other local dental societies in King, Snohomish, Kitsap, and Pierce counties. These ballots asked dentists the question, “If you had a patient in need of a dentist, which dentist would you refer them to?” Each general dentist and dental specialist was given the names of many nearby practitioners from which to select their choices for top dentists. Additionally, they also had the opportunity to write in nominations of dentists they thought were worthy of selection but were not on the lists sent to them. Each general dentist evaluated specialists and each specialist evaluated general dentists whose work she or he was familiar with based on years of experience, continuing education, chair-side manner with patients, use of modern and new techniques and technologies, and of course the physical dentistry results and appearances. The reason for this method of voting is that dental specialists usually see the work of many general dentists that refer patients to them for specialty dental treatment. Alternately, general dentists will evaluate the work of various dental specialists as they decide which of these doctors are going to provide the best dentistry care for their patients in the various specialty disciplines. Therefore both groups are able to comparatively evaluate members of the other group. Dentists with the highest average ratings were vetted for active licenses and good standing with the Washington State Department of Health before being selected and placed on the final selection list as a Top Dentist. The listings of the Top Dentists in the Seattle Region were published in the January 2014 issue of the Seattle Met Magazine. Since listings cannot be purchased and no fee is required for inclusion on the Seattle Met Magazine list, it is considered a very significant honor to be named to this exclusive Top Dentist list. Both dentists were previously selected to the Seattle Met Magazine 2012 Top Dentists List https://www.brooksidedental.com/blog/seattle-met-magazine-selects-bellevue-cosmetic-dentists-as-top-dentists-2012-2/ and the Seattle Met Magazine Top Dentists 2013 List https://www.brooksidedental.com/articles/seattle-met-magazine-top-dentists-2013-selections-for-dr-cynthia-pauley-and-dr-brian-cave-at-brookside-dental-bellevue-wa/. Dr Pauley previously was selected by her peers for the Seattle Met Magazine Top Dentist List in 2011, 2012 and 2013 for both General Dentist and Cosmetic Dentist categories. Dr Cave was selected by his peers for the Seattle Met Magazine Top Dentist List for 2012 and 2013 in the General Dentist and Cosmetic Dentist categories. Selection for the 2014 Top Dentist List (http://www.seattlemet.com/health-and-fitness/articles/top-dentists-2014) for the two dentists was in both the General Dentist and Cosmetic Dentist categories based upon the excellent quality of dentistry that these two dentists provide for their patients. Dr Cynthia Pauley and Dr Brian Cave are passionate about designing beautiful smiles using state of the art modern cosmetic dentistry techniques as well as providing excellent preventative and restorative dentistry for the entire family. 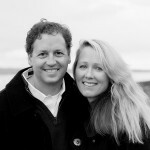 In addition to 2014 Seattle Met Magazine Honor, these two dentists recently were listed for the fourth year on the USA Top Dentists site (https://www.brooksidedental.com/blog/dr-cynthia-pauley-dr-brian-cave-selected-usa-top-dentists-seattle-area-fourth-year/ ) for outstanding patient service and care. This is considered to be very significant honor in the dentistry field, because listings cannot be purchased for these awards and no fee is required for placement on the usaTopDentists list. Dentists on these select lists usually attract many new patients who want the services of a top dentist. This is especially true for people that are planning to have new cosmetic dentistry work performed, because most dentists on this list have had extensive advanced training in the area of cosmetic dentistry. Both doctors at Brookside Dental in Bellevue, WA, have had extensive advanced training in cosmetic dentistry. Dr Cynthia Pauley and Dr Brian Cave can create beautiful smiles with either a small smile change or a complete smile makeover. They have advanced specialized training in the areas of anterior esthetics, full mouth cosmetic restoration, dental implants, porcelain veneers, anterior composite fillings, posterior composite fillings, porcelain crowns, cosmetic dental bridge work, teeth whitening and occlusion evaluation. Both Dr Cindy and Dr Brian have a complete approach to smile artistry, including the use of an on-site porcelain artist. Additional information about these dentists may be obtained on their website at https://www.brooksidedental.com or on their dentistry blog.